Gordon Ramsay is one of the world's best-known chefs and food personalities. 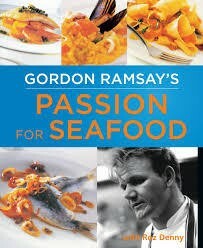 In Passion for Seafood he turns his attention to the food that excites him most: fish and shellfish. The book starts out with clear instructions on how to buy - from choosing the freshest specimens to calculating quantities - with a comprehensive guide to filleting, skinning, trimming, preparing, marinating, flavouring, cooking and freezing all kinds of fish and shellfish. Seafood is well suited to a mix and match style of cooking. The simplest combinations, such as pan-roasted fish served with a sublime sauce, form the basis of some of the most spectacular dishes.